One of my thoughtful readers sent me a link and suggested I take a look at Griffin Design Source… a “new to me” design firm, based out of Denver, Colorado. I’m so glad that I clicked over, as all of the images were so pretty and inspiring. I absolutely love the vibrant vibe in this cheerful Maine residence, no doubt created by all the wonderful fabrics and prints used throughout each room. Sarah Richardson comes to mind when I see these rooms. This firm is exactly what I have been looking for in my new house. Great look and breaks the cycle of the monochromatic blog land lately. 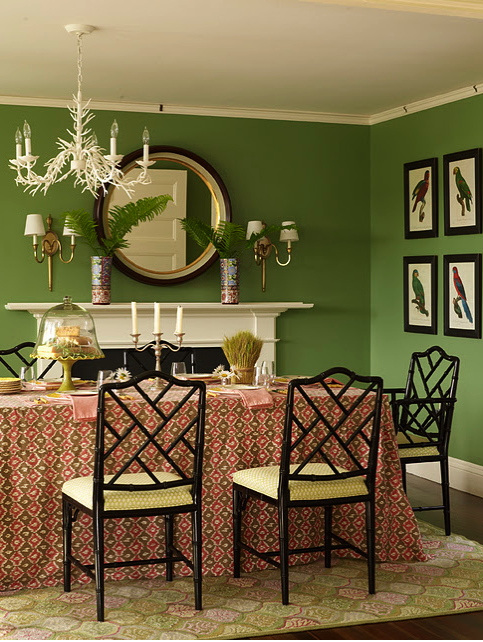 I am loving the dark green wall color in the dining room ~ so fun!! I'm hooked on the spring green from the first image something so cheerful about it and mixing it with white in wallpaper even better! Love the photos, and the bathtub stripe is my fav!! Oh my goodness! This is just a burst of pattern inspiration here. 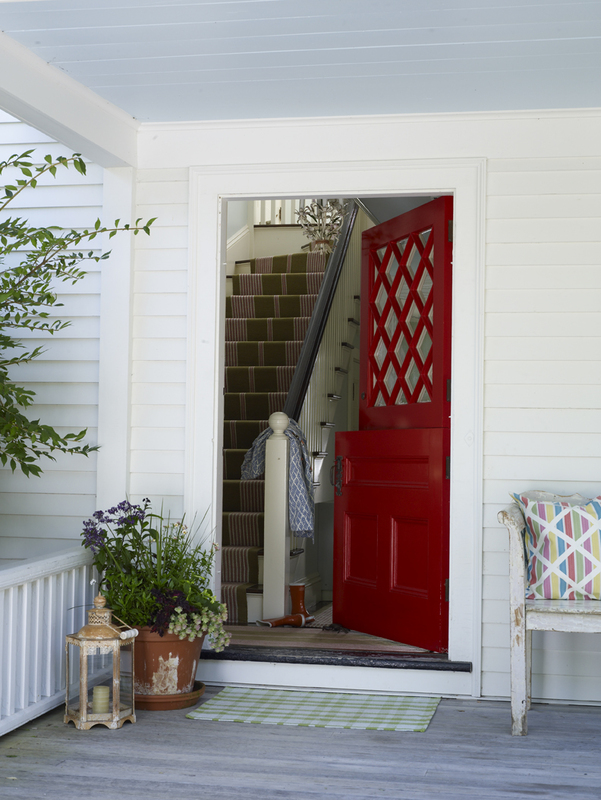 Wow- can you imagine how happy you'd be everyday living in such a vibrant home? Gorgeous and inspiring! Love how they have taken some tiny space and given them so much impact! 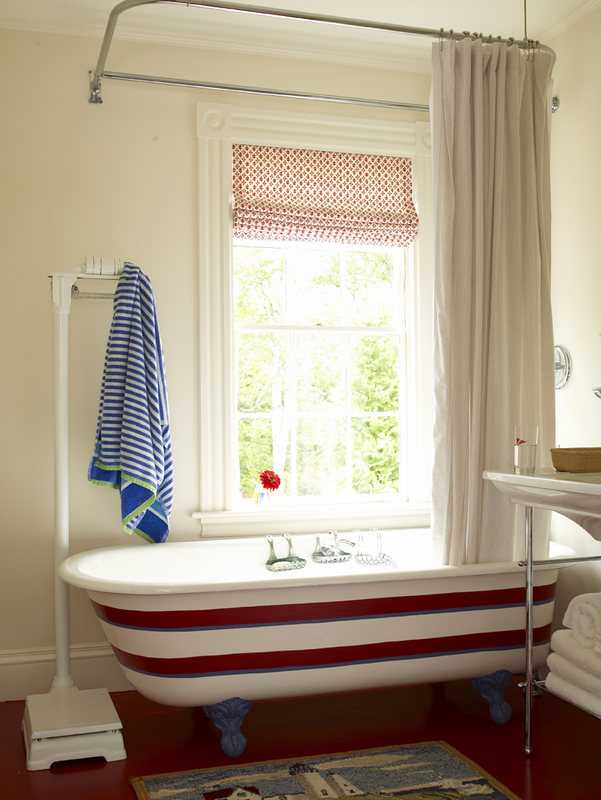 So much lovely pattern happening, and I love that striped tub! I agree with Annie, the rooms do give a Sarah Richardson vibe! Great round up of inspiration, Sue! 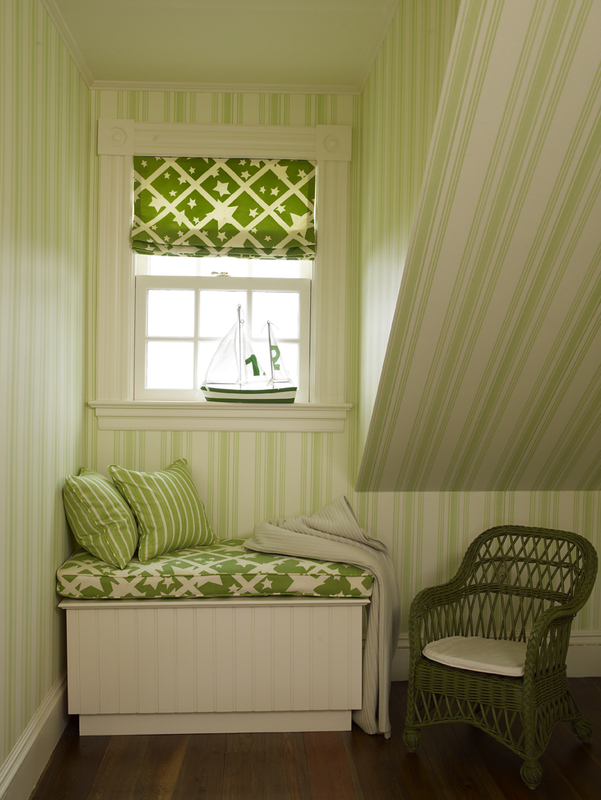 I love small rooms that are bold and have wallpaper on all the walls… looks fabulous! FUN!! Love the striped tub! !